A decade ago, on a drizzly, foggy day in his hometown, Gangtok, something terrible happened to Soham's elder brother. Apart from the trauma surrounding the devastating incident, Soham harbors a secret guilt, a guilt he is unable to share with anyone, including his parents. But when he goes to Bangalore to join an engineering college, a new hope dawns in him. Away from the suffocating influence of people who knew about the incident, Soham hopes to find someone, someone with whom he can share the guilt rooted deep in his heart. Will the ghosts of his past keep haunting him, or will his thirst for intimacy finally be quenched? 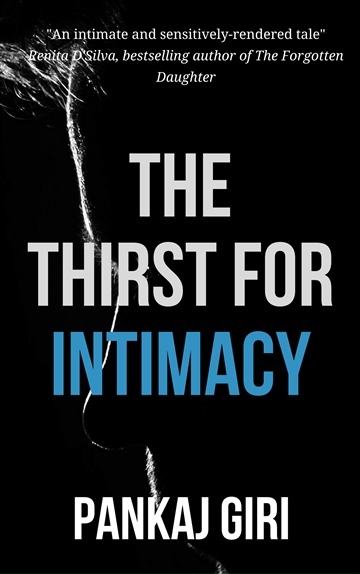 Set in the city of Bangalore, India, The Thirst for Intimacy is an intimate tale of a quiet boy and his quest to break free from the chains of his loneliness.